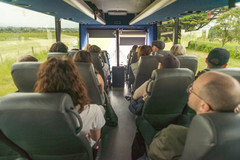 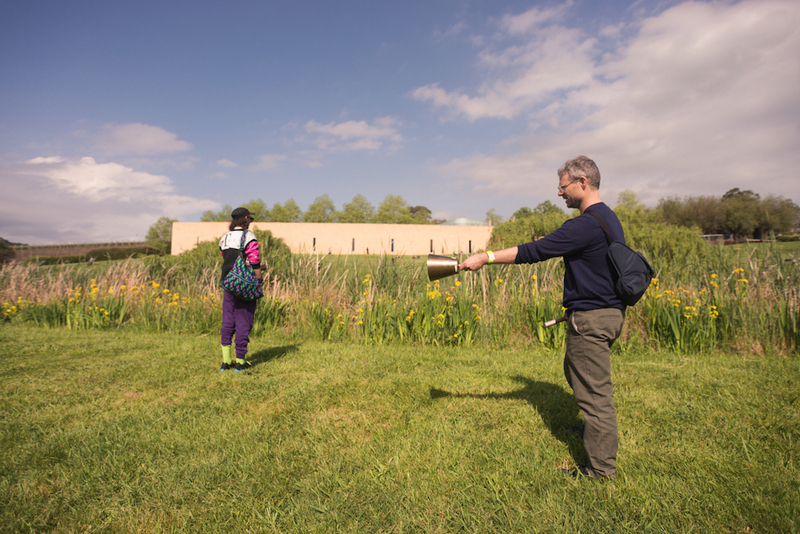 Artists respond to ideas of history, culture, language and landscape with voice, bells, violin, a megaphone and electronic sound, from inside a bus, around a museum and at a lake's edge, to form an experience to deposit in the archives of your own memory, always in motion. The day begins on a bus that departs Federation Square for TarraWarra. 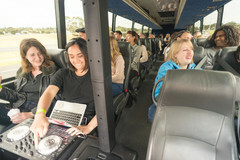 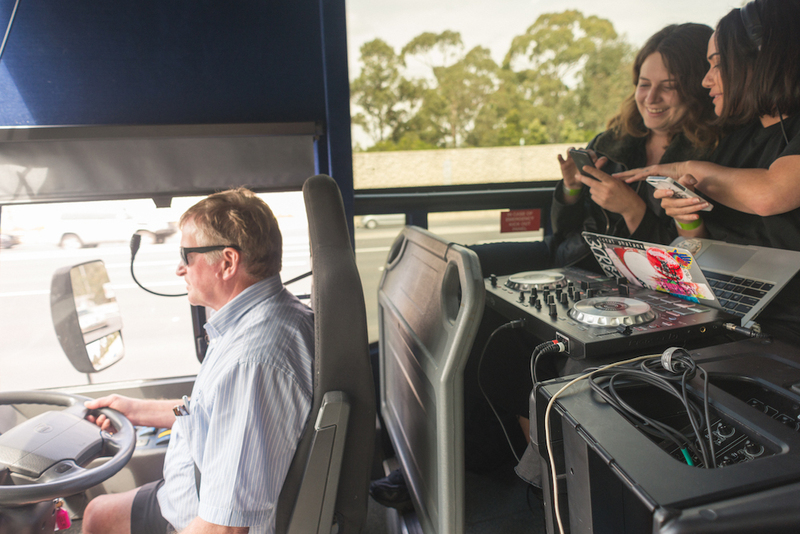 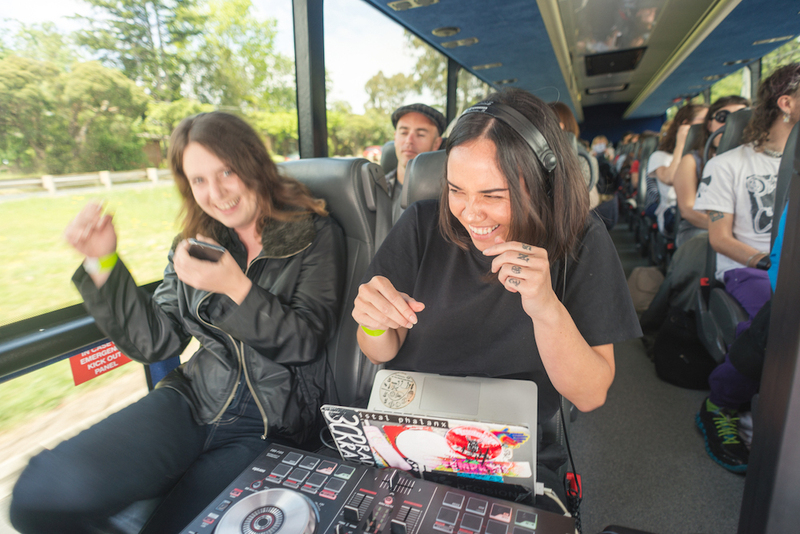 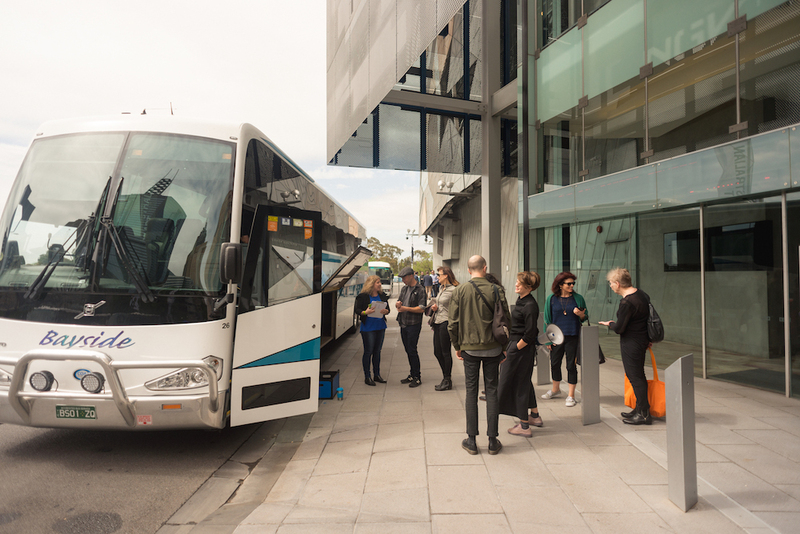 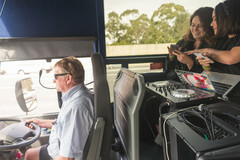 Melbourne’s DJ Sezzo Snot will hijack the vehicle’s sound system to present The Grain in the Stone, an eclectic music set exploring abandoned pasts and imagined futures, framed through the moving panorama of the bus window. 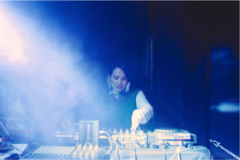 Sezzo Snot’s work has emerged as a club DJ who combines social media commentary, philosophy and a strong interest in contemporary art, to engage cultural politics through music. 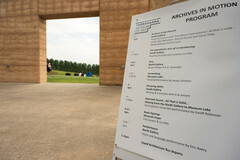 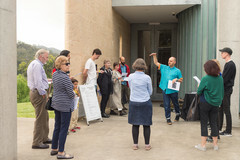 Following arrival at the museum will be an artists’ panel chaired by TarraWarra Director Victoria Lynn, entitled 'Archives in the Present', featuring Tom Nicholson, Patrick Pound and Cyrus Tang. 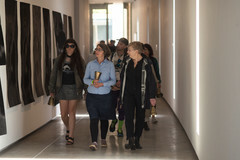 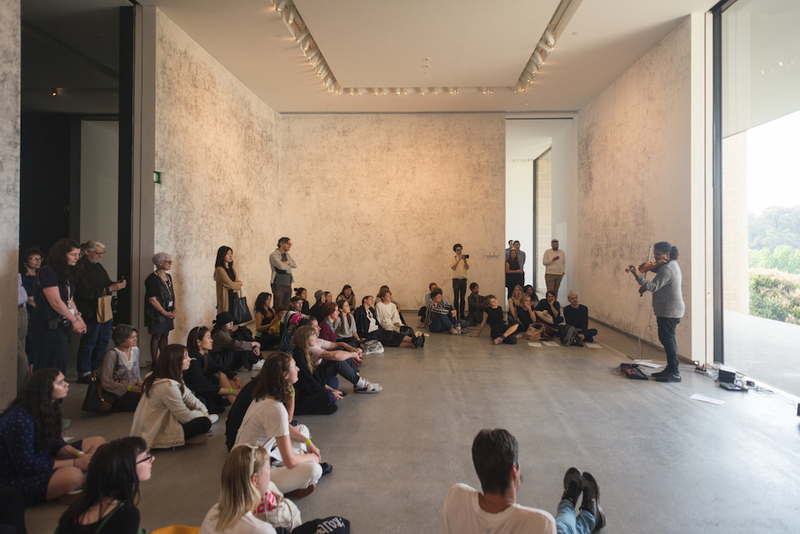 The panel discussion will lead into a literary response to the exhibition by acclaimed novelist Lia Hill, before the sound will disperse to multiple sites. 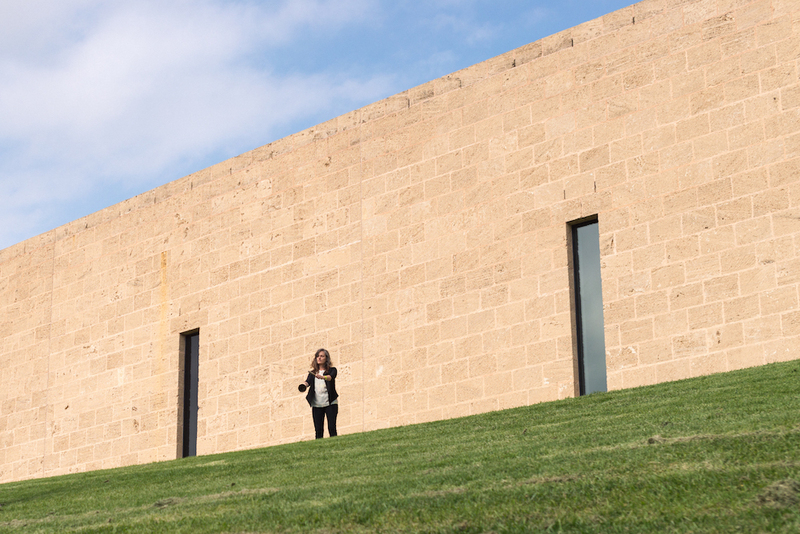 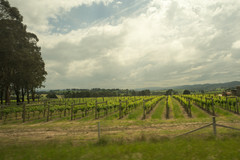 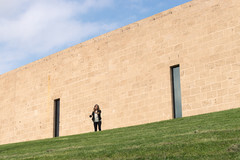 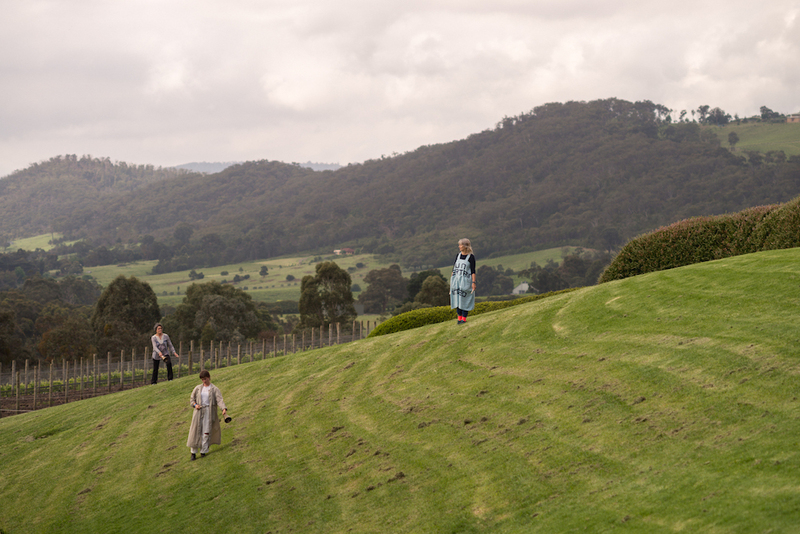 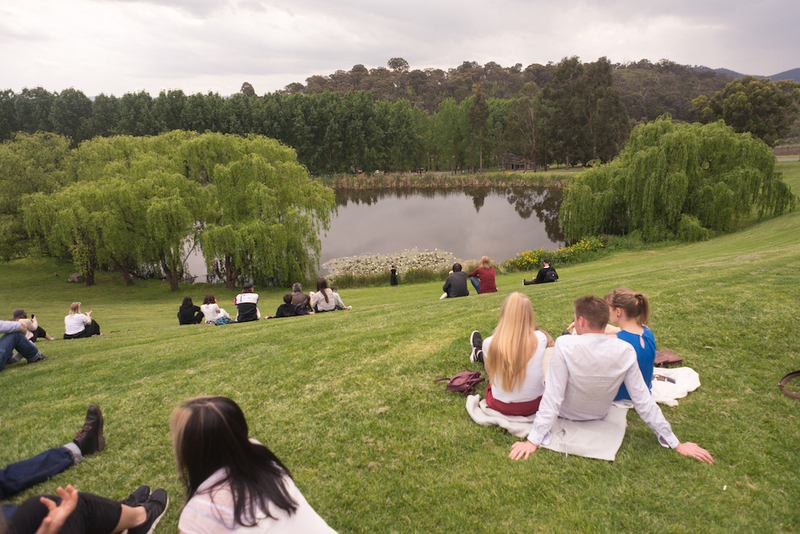 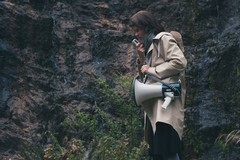 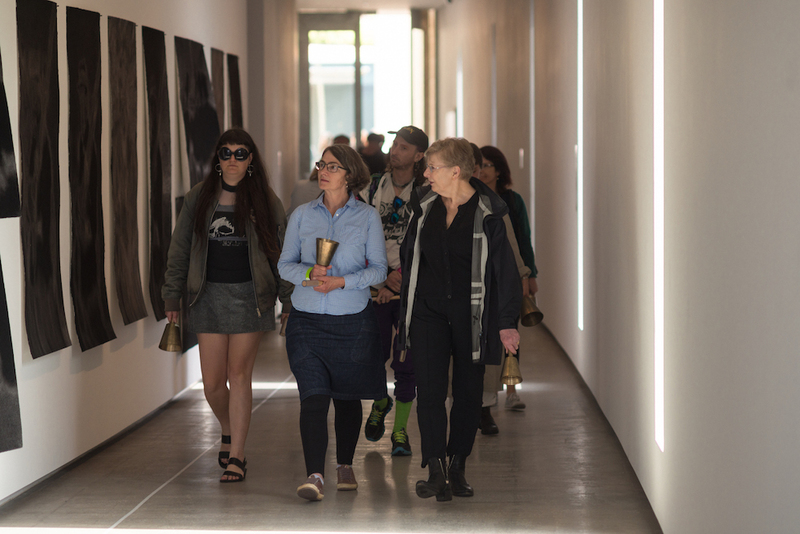 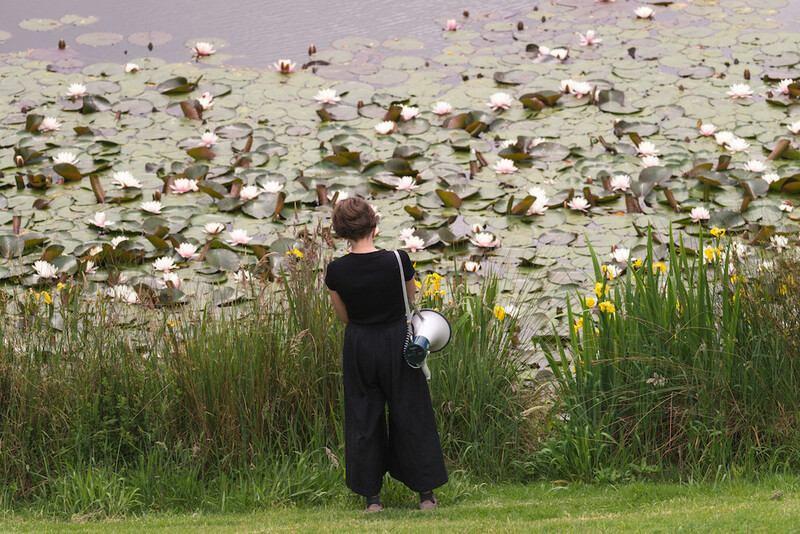 By TarraWarra’s lake, Melbourne artist Jacqui Shelton’s vocal performance 'Fermenting' will be recited via megaphone, towards an imaginary listening subject, an entity encompassing lake, wine, gallery, exhibition, history, and hill. 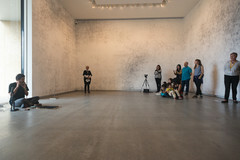 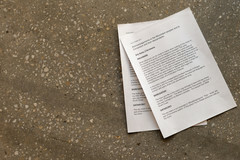 Jacqui says of the work “Today feels like everything is a little slippery, there might be some singing to help remind myself of the words.” Her research driven practice considers the intimacies produced through the encounter of two bodies in conversation, using the potential of spoken word and how this manifests in a body, to think about ways of approaching political and social difference. 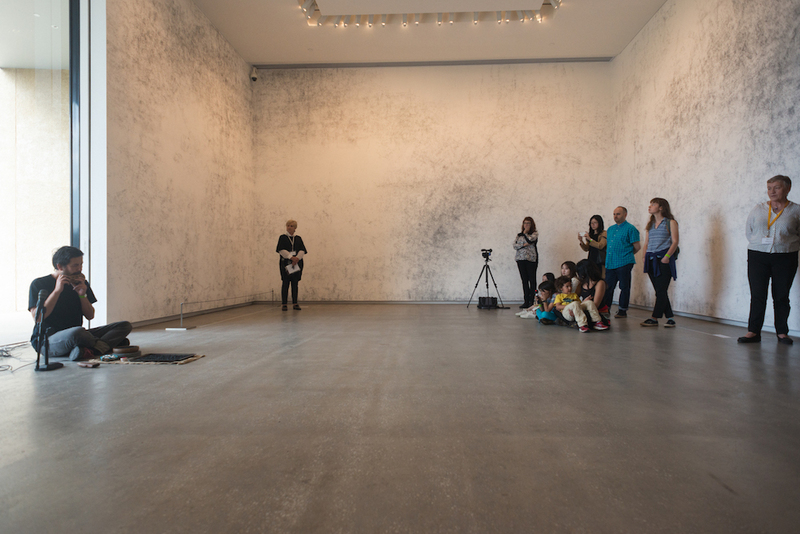 Back inside the museum will be the final lecture in the 2017 Writing & Concepts series with Erik Jensen, speaking on the work of writer Kate Jennings in his presentation Picturing Holes. 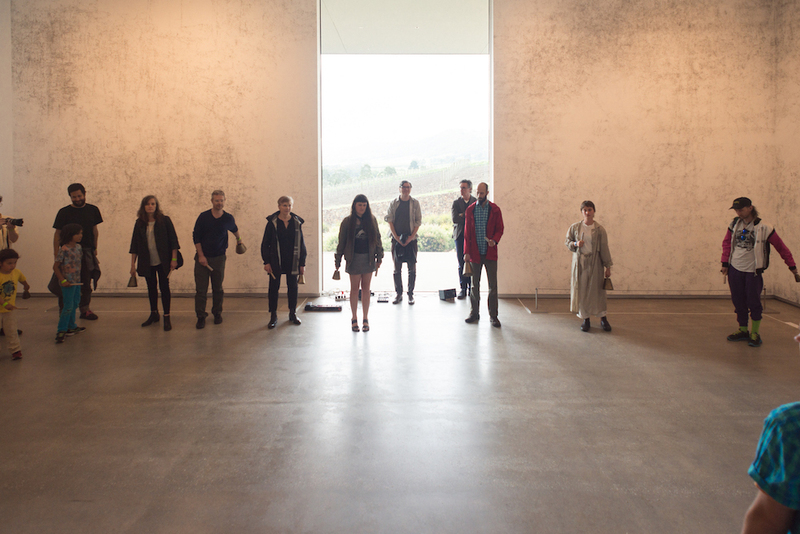 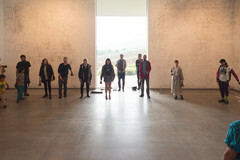 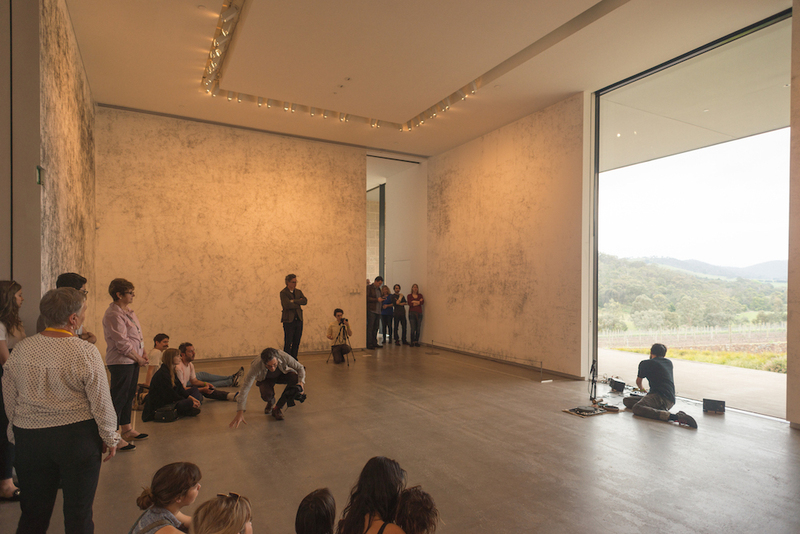 The second round of performances will begin In the North Gallery of TarraWarra, where Australian / Chilean multimedia artist Bryan Phillips A.K.A Galambo will present new work Torn, an electroacoustic enactment of the torn territories around TarraWarra. 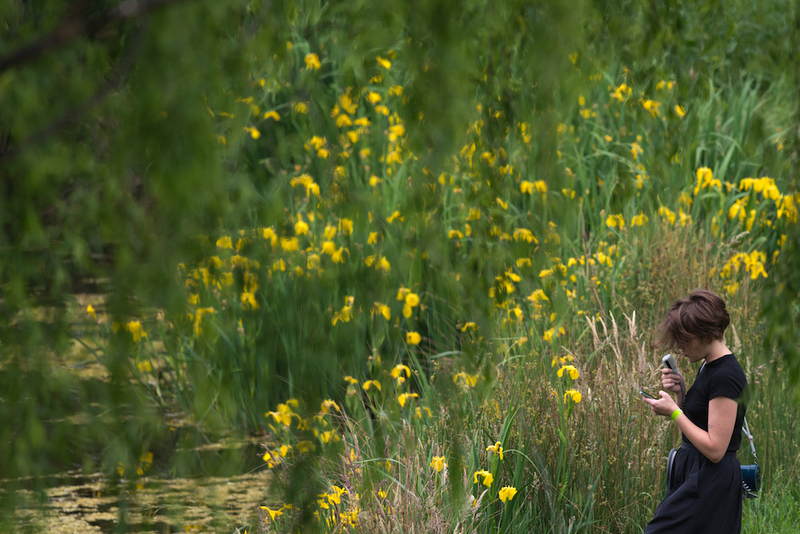 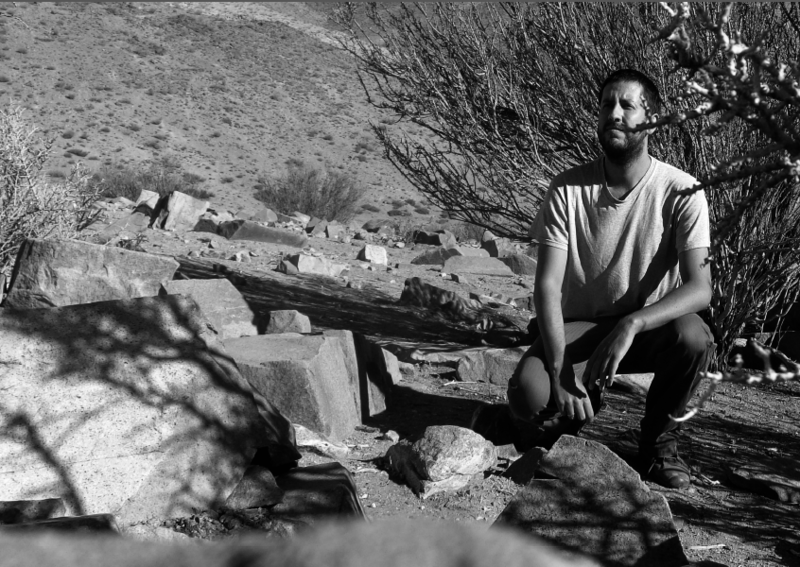 Exploring what is lost when land is stripped of its resources, Bryan Phillips’ practice is based in sound-performance and the use of electronic and acoustic material to help imagine connections between peoples and their territories. 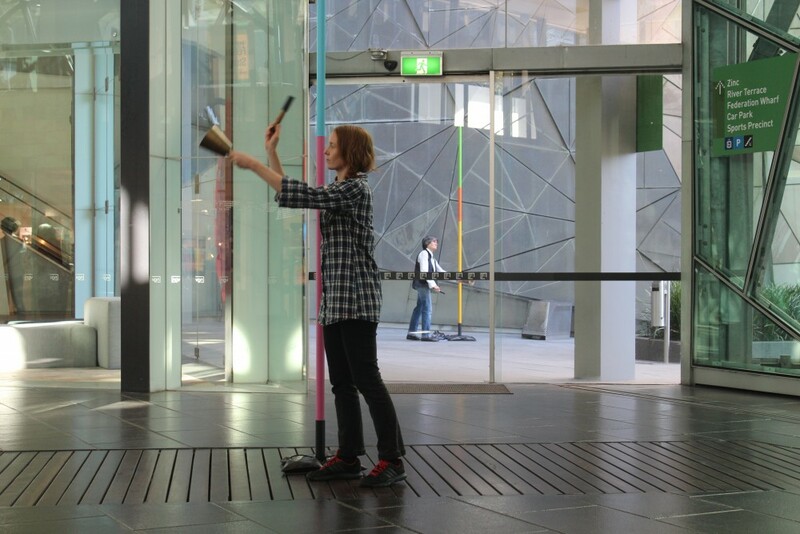 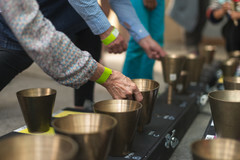 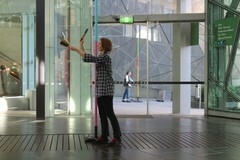 Following this, Melbourne artist Geoff Robinson will present 'Itinerant Sound – All That Is Solid…', a participatory hand bell performance to create a situation where a concentrated sonic mass disperses through movement. Within a set of physical and instructional boundaries the participant’s decisions through movement will transform the sonic and spatial experience from the directional and contained to the indeterminate and dispersed. 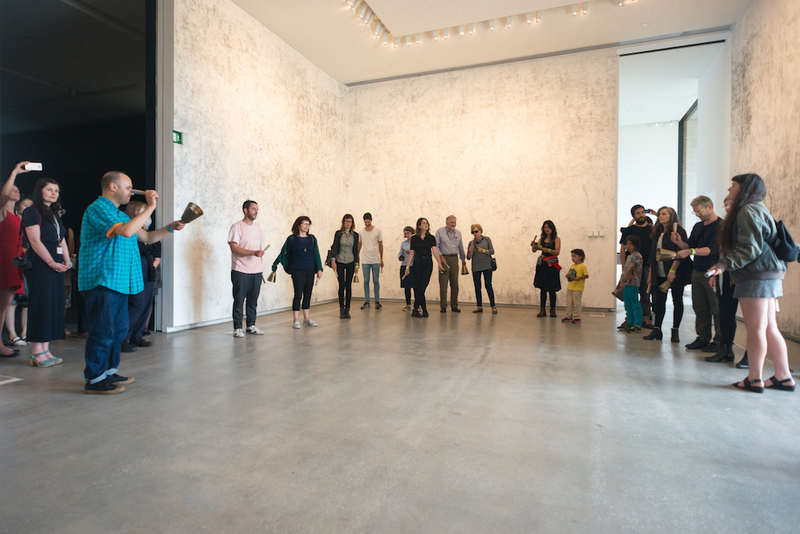 Geoff Robinson’s practice creates event-based artworks that explore the relationship between the durational qualities of sound and performance and the spatial conditions of physical sites. 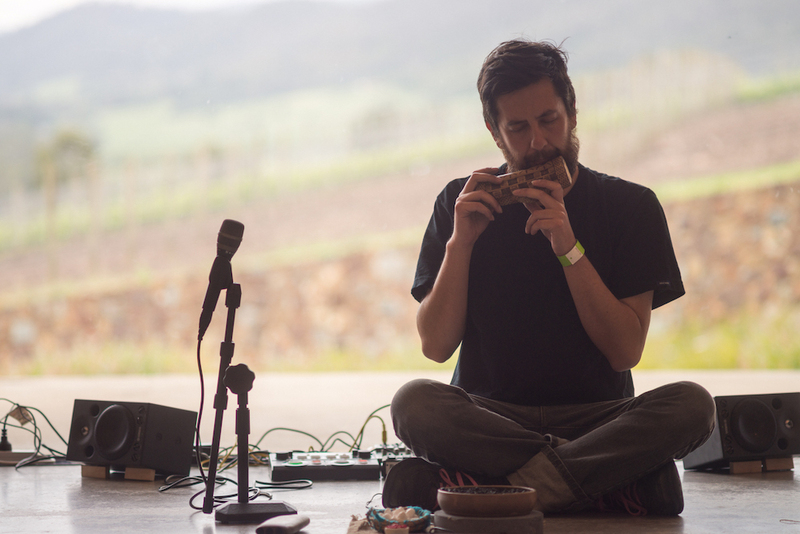 To be a part of Geoff’s performance, click here. 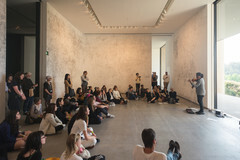 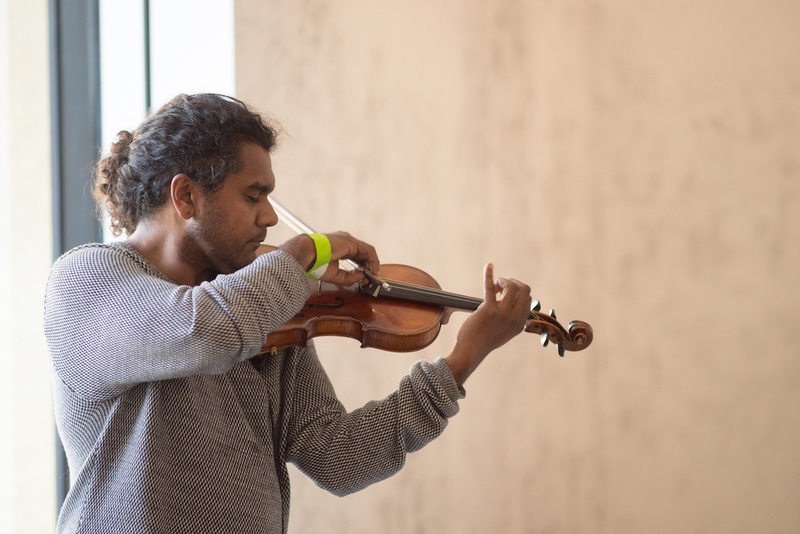 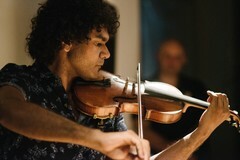 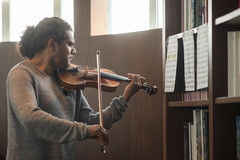 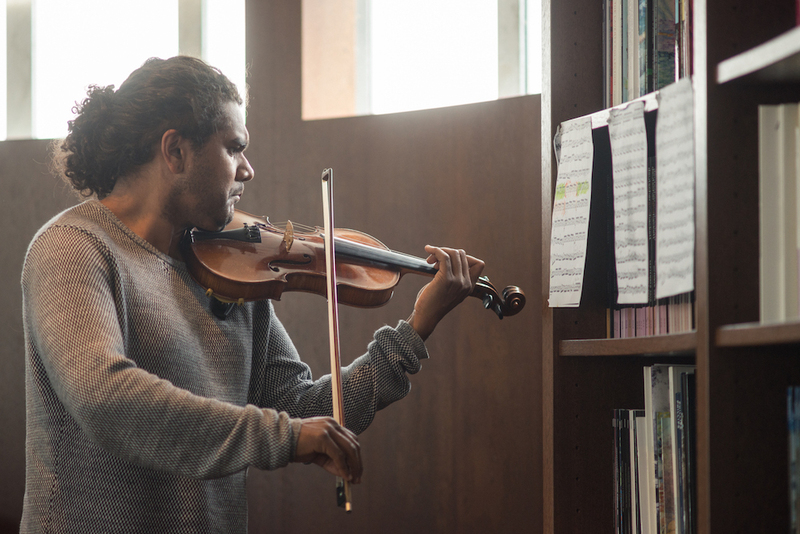 And, as a finale, Eric Avery, a Ngiyampaa, Yuin, Gumbangirri and Bundjalung man, will use language and violin to express the interconnection of sound and voice to history and back to country in the North Gallery of TarraWarra. 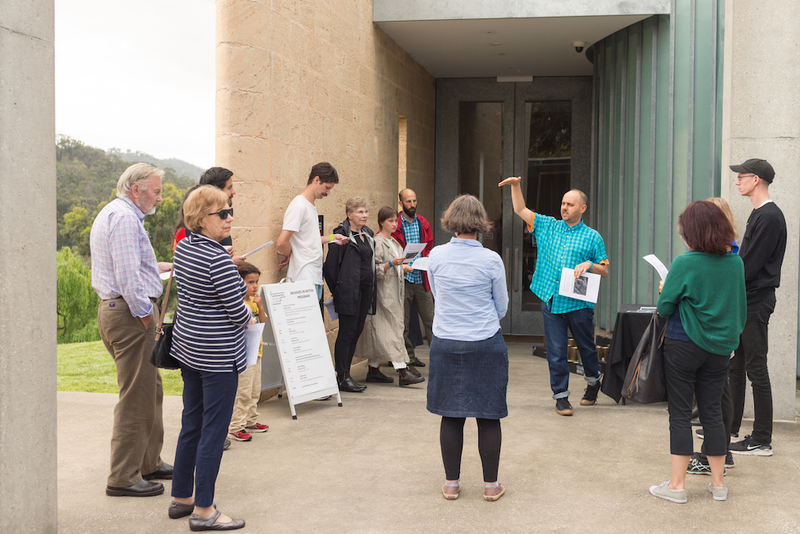 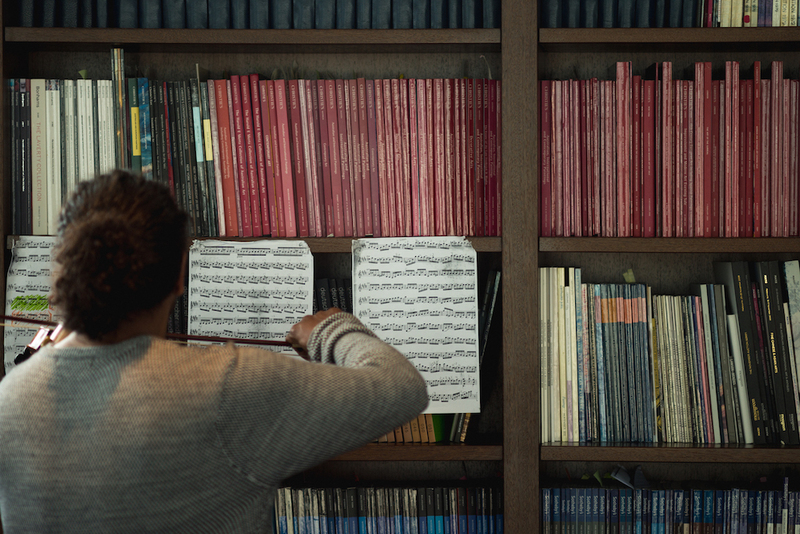 Believing in the strength of his people’s art, Eric aims to revitalise aboriginal language in his practice. To speak his ancestors tongue is what Eric describes as being a transformative experience – to hear the different intonations is an inspiration musically and to engage with his language is a continuance of culture. 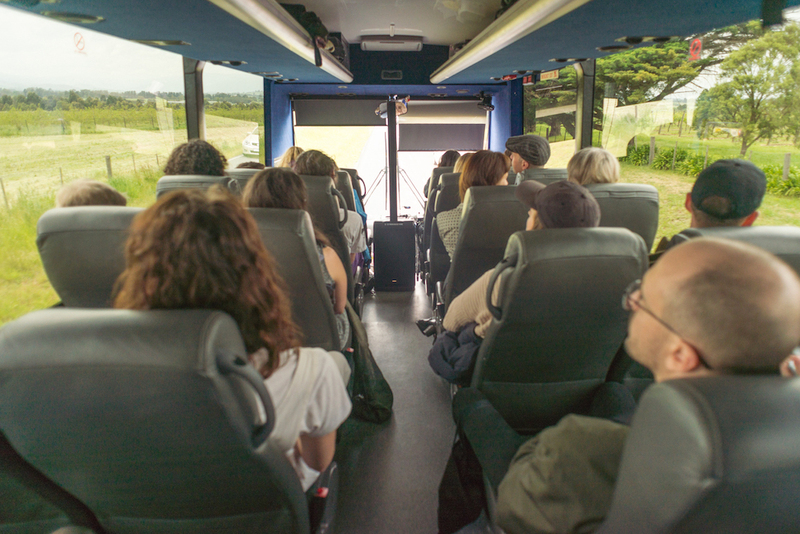 At 5.15PM, the bus will return you home, to deposit this experience in the archives of your own memory, always in motion. 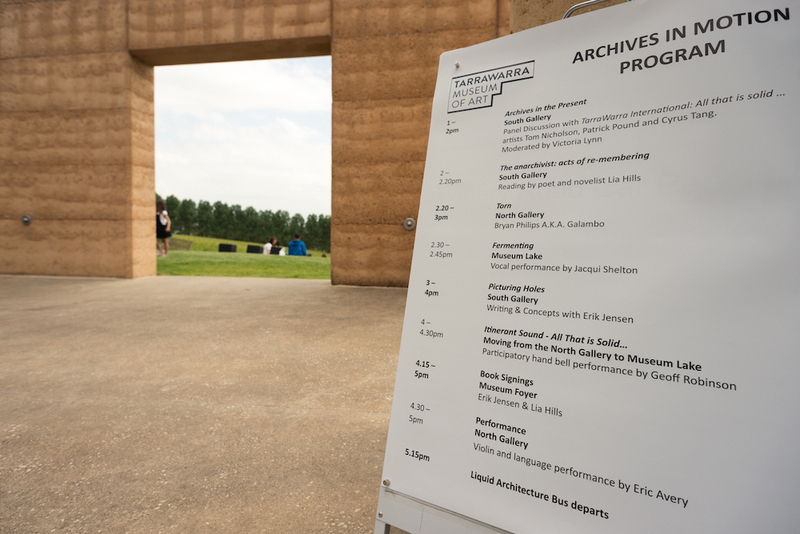 ‘Archives in Motion’, is presented by TarraWarra Museum of Art, in partnership with Liquid Architecture and Writing & Concepts, inspired by the exhibition ‘TarraWarra International 2017: All that is solid…’ curated by Director Victoria Lynn.